12/10 – Newtype #01 – Drop. 22-D (on sale). 01/10 – Newtype #02 – Drop. 23. 12/09 – Bessatsu Shonen Magazine #01 – Chapter 211 (on sale). 01/08 – Bessatsu Shonen Magazine #02 – Chapter 212. 02/09 – Bessatsu Shonen Magazine #03 – Chapter 213 – last chapter of volume 19 – XXXHOLiC will feature the front cover. CLAMP-NET.COM doesn’t say anything about Chapter 213 being the final chapter of the series. The ending theme song for the upcoming XXXHOLiC Rou Adayume OAD will be “Gomen ne.” (“I’m sorry.”), performed by Tiara. The song will be included in the singer’s 2nd album, Tears, to be released on February 16. CLAMP-NET.COM describes the song as a “medium ballad”. 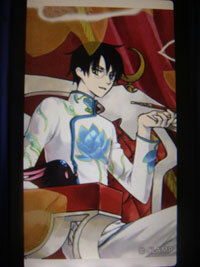 Here are some pictures of the XXXHOLiC Kei DVD Box. The set will come with 3 DVDs, Discs 1 and 2 will have 4 episodes each and Disc 3 with 5 episodes (13 episodes total). 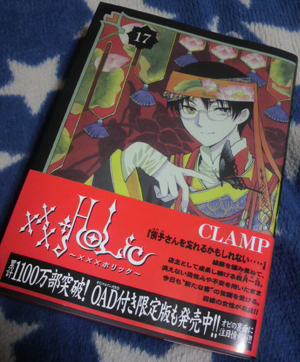 The set will also come a XXXHOLiC colored illustration with reproduction of CLAMP’s signatures. The illustration was first published as the cover of the May issue of Animedia magazine in 2006. The XXXHOLiC Kei DVD Box will be released on January 26. You can read the first 20 pages of Peter Pan & Wendy (illustrated by CLAMP) in Kodansha’s website (click on the cover). 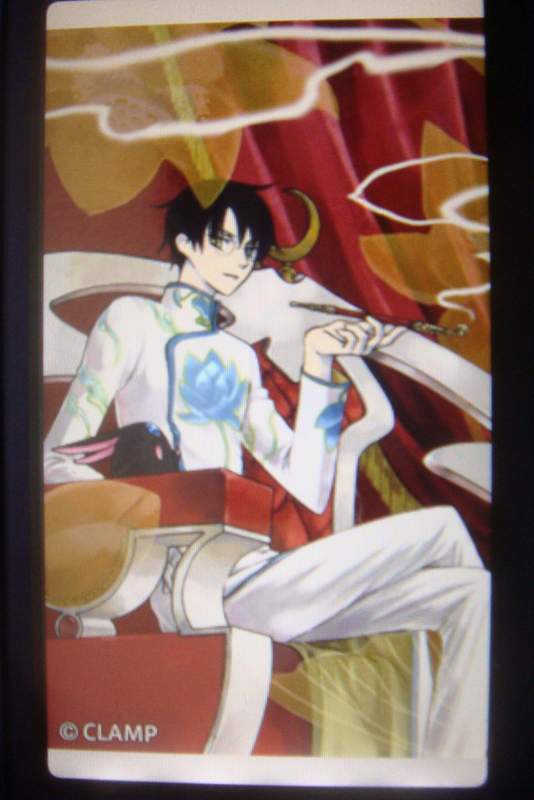 There are 3 black and white illustrations by CLAMP in the preview. Update: To those interested, the book can be purchased via Yesasia.com. 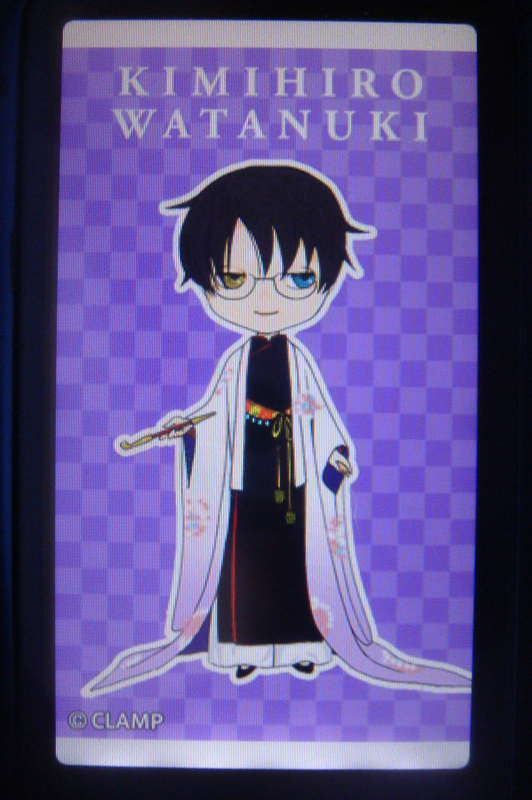 In other news, there is a XXXHOLiC event going on in Akihabara that will run until the 14th at Dear Stage to celebrate the DVD Boxes releases. Episodes from the XXXHOLiC TV series are being screened and a Gallery showing the production process of the DVD Boxes is being held. The shop is decorated with XXXHOLiC theme and its employees are wearing XXXHOLiC costumes. Also, food and drinks similar to those featured in the XXXHOLiC anime will be on sale. Not much news. There has been no new additions to manga schedule, so I’m just gonna put it here again. 07/09 – Newtype #08 – Drop. 24 (on sale). 09/10 – Newtype #10 – Drop. 26. 07/09 – Bessatsu Shonen Magazine #08 – Chapter 206 (on sale). 09/09 – Bessatsu Shonen Magazine #10 – Chapter 208 – 4 color pages. While in Japan, I accessed CLAMP@MOBiLE to see its goodies and indeed there is no possible way to transfer the wallpapers to the computer, the files are encrypted and they blocked the option to send it by e-mail. So I took some pictures instead xD They aren’t that good, but at least we can have an idea. On other news, the XXXHOLiC DVD Box 1 release date has been delayed to August 25. 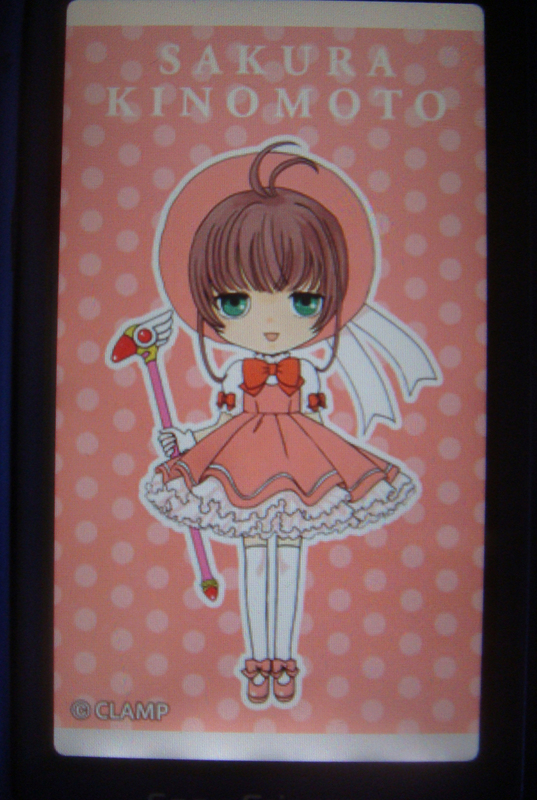 The box will be drawn by CLAMP but the image has not been revealed yet. 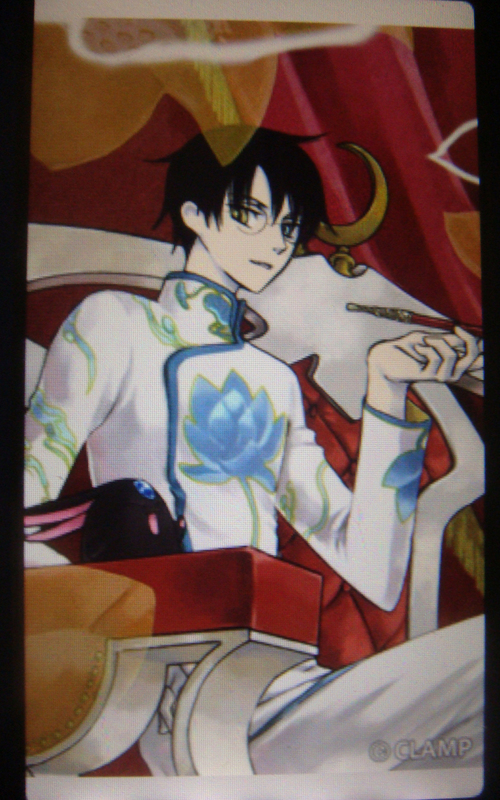 XXXHOLiC-net has pictures of the box (but not CLAMP’s illustration). 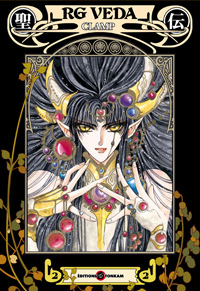 Also, CLAMP-NET.COM reports that the French edition of RG Veda has won the award for Best Edition at this year’s Japan Expo Awards. The first series of the XXXHOLiC TV Anime (the one that aired during April-October, 2006) will be re-released in two DVD Boxes, according to CDJournal. 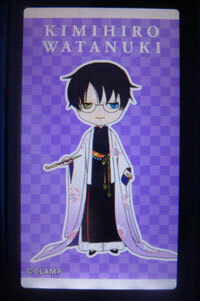 The first box will be released on July 14, entitled “XXXHOLiC DVD BOX 上” (XXXHOLiC DVD Box Top). It will have episodes 1 to 12. The box will feature a new illustration drawn by CLAMP and it also comes with a special booklet. The release is expected to be followed by a second box, “XXXHOLiC DVD BOX 下” (XXXHOLiC DVD Box Bottom), containing episodes 13 to 24. The link to download the OAD will be posted here as soon as it becomes available! Stay tuned!